Celebs are just like us. The new moms and dads stress over who to choose as their child’s godparents the same way anyone would. And why wouldn’t they? Being a godparent is a huge responsibility. Not only do you have to help mold a little life, but, you want to make sure the tot is fly from head to toe. Our favorite A-listers have no shortage of friends who can provide for their offspring. However, you might be surprised to find out who’s been entrusted with whose children. Choosing a godparent for twins Max and Emme caused a bit of tension between Jennifer Lopez and Marc Anthony.Jennifer wanted Tom Cruise but Marc, a strict Catholic, was worried about Tom being a senior Scientologist. Marc wasn’t sure if it was a good idea but in the end Jennifer managed to convince him to agree. Tom is delighted. To show just how delighted he was, Tom apparently spent £100,000 on presents for the babies, including a fish tank which was installed in their nursery. 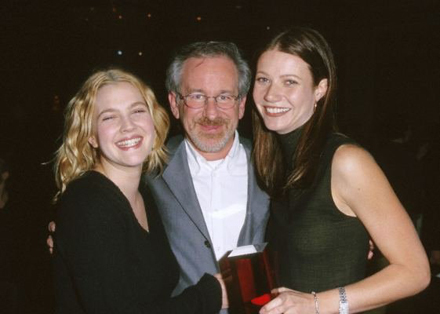 When you grow up a child star, you certainly need a ton of guidance and we’re sure that’s what Spielberg gave to Drew. But he’s also godfather to Bey’s bestie Gwyneth Paltrow too! Drew also boasts Hollywood siren Sophia Loren as her godmother. 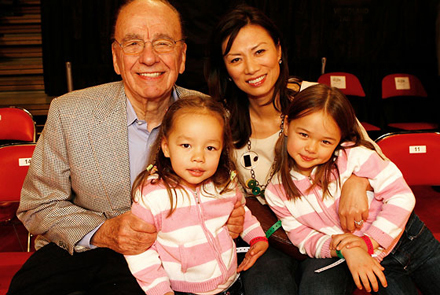 Rupert Murdoch christened his two youngest daughters, Grace and Chloe, in a ceremony beside the River Jordan. Those in attendance included Queen Rania of Jordan and Ivanka Trump but neither of them were godparents.That’s because Rupert Murdoch chose fellow Australian Nicole Kidman and…Her Australia co-star Hugh Jackman. Tyra and Kimora Lee used to model together back in the day. And we’re sure Tyra teaches Kimora’s oldest, Ming Lee, to smize. 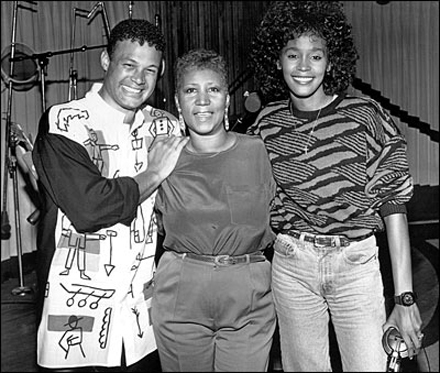 Whitney Houston comes from a family of singers – and that includes her very famous godmother.Yes, the legendary Aretha Franklin, who helped teach Whitney to sing as a child. What do you get when your mom is a fly, former Spice Girl, and your godmother is the hottest Desperate Housewife? You get 11-month old Harper Seven who’s arguably the best dressed tot. P.S. Paris Hilton has already said she wants Victoria and Victoria Beckham to be godparents to her as-yet-to-be-conceived children. Her reasoning? They’re “hot”. Check out other surprising celeb godparents and godchildren.